Hi Dear Blogger This Post Specially For You. If you want to Buy new Domain So Here is Special Offers From Bigrock.in Bigrock Ka Latest Offer Abhi chal raha hai. Aap Domain Buy Karne Ki Soch Rahe He To Abhi Yeah Best Offers Ho Sakta He. So Aaye Jante He Kya Hai Yeah Offers ? Ise Offer Se Kaise Domain Buy Kare Full Details. 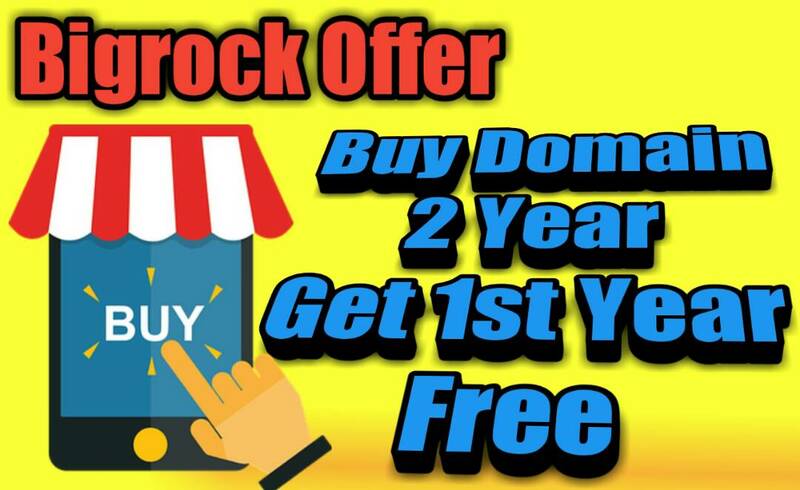 Big Rock Par Abhi Aap Domain Buy Karte He To Aapko 1 Year Ke Liye .Com Domain Free Mil Raha He Lakin Uske Liye Aapko 1 Year Ka Price Pay Karna Hoga. 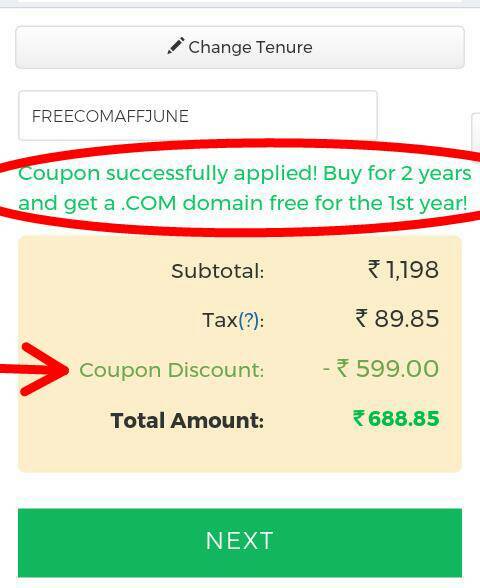 Simple Language Me Aapko 2 Year Ka Domain 1 Year Ki Price Me Mil Jayega. Aapko Domain 2 Year Ke Liye Buy Karna He Or First Year Ke Liye Domain Free Me Milega. So Aap Samaj Gaye Na Ki 1 Year ke Paise Dene He Or 1 Year Free. Coupon code: FREECOMAFFJUNE Ise Copy Karke Daale Coupan Apply Hote He 1 Year Ki Price Jitna Discount Mil Jayega. Ab Sidhi Baat he 1 Year Ka Price Coupan Code Se Pay Ho Jayega Or 1 Year Ka Pay Hum Karege to Mere Hisab Se Offer buy 1 Year & Get 1 year Free Hoga. Bigrock Me Is Offer Ka Neme Buy 2 Year & Get 1st Year Free Hain Because Hume Domain Buy Karte Time 2 Year Select Karna He Or 2 Year Ke liye Buy Karan Hai. Par Aapko Yahi Fayda He Ki 1 Year ke Price Me total 2 Year Mil Raha He. 1.Yeah Offer 30 June 2017 Tak He Available He. 2. Advance Only 1 Year Ka Price Hume First Pay Karna Hoga. 3. Domain Me Cupan Code 2 Year Select Karne Par He Apply Hoga. 4. Domain Ka Price Alag Alag Hoga Yeah Domain Neme Depending Hai. Free Domain Register Kaise Kare ? 0 Response to "Bigrock Offer: Buy Free Domain For 1 Year. Buy 2 Year & Get 1st Year Free"